Stanisław Wyspiański, whose recent 150th birthday we want to celebrate with an exhibition of devoted to him posters, is recognized by art experts as the father of a modern Polish art poster. His poster, announcing Stanisław Przybyszewski's reading combined with the play ‘The Interior’, was considered precursor in those days. 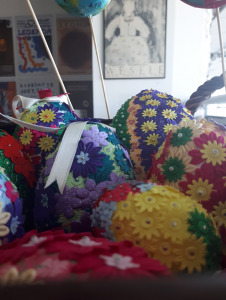 Currently, the work can be viewed at the exhibition at the National Museum in Krakow. Unfortunately, this poster is the only work of this kind in Wyspiański's enormous artistic output. He did not design posters for his numerous dramas. The theater used a standard poster and it turns out that it is difficult to show examples of posters devoted to this genius artist from before the First World War and the inter-war period. Kazimierz Sichulski, who studied painting at the Academy of Fine Arts in Krakow, among others under Wyspiański, dedicated him his lithographic work in 1908 made for the "Wyspiański Evening" organized at the Lviv Philharmony on the first anniversary of the artist's death. 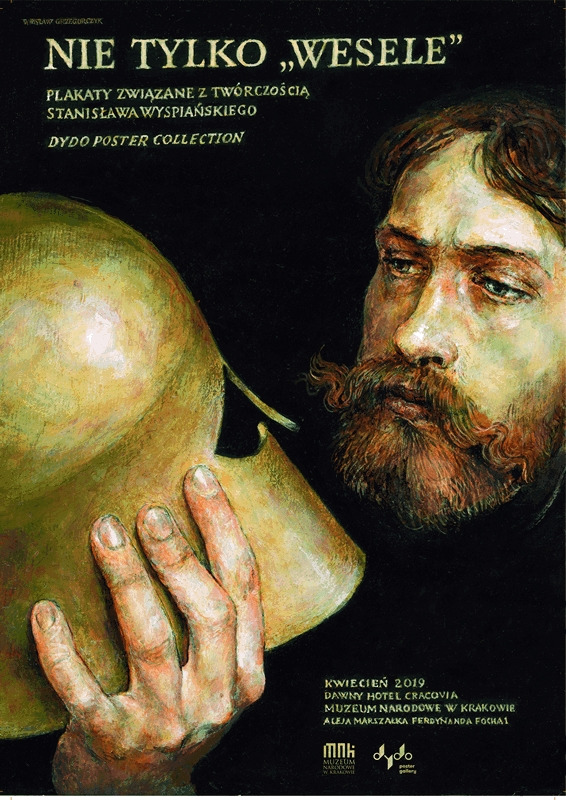 This poster is also to be fund in the collection of the National Museum in Krakow. The inter-war period is characterized by scarcity of theatrical posters. One of the older ones which I had in my collection, dedicated to ‘The Great Celebration in Cracow in tribute to the bard of Independent Poland ‘, was lost during the exhibition in 2000 at the State Theater School. It was only after the Second World War that the cultural poster, including the theatrical poster, flourished. There were posters for Stanisław Wyspiański's dramas. One of the first ones was the poster by Henryk Tomaszewski from 1944 for the Teatr Wojska Polskiego for the play ‘The Wedding’. Many posters for theaters all over Poland were created in the following years. The exhibition presents theater posters, among others from Warsaw, Cracow, Katowice, Gdańsk, Lublin and Poznań. Acropolis, Cyd, Curse, Judges, Royal Chronicles, Legend, Legion, November Night, Odysseus Return, Protesilas and Laodamia, The Song of Warsaw (Warszawianka), The Wedding, Liberation are the titles of the most-played dramas that appear at the exhibition. 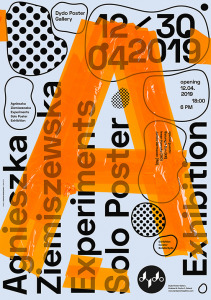 Next to the theater posters, we are presenting posters related to Wyspiański, designed for events or exhibitions related to him, including film posters. In total, almost 70 works by nearly forty artists of all generations of the last 50 years. Starting from the oldest creators of the ‘Polish poster school’, already mentioned Henryk Tomaszewski, Waldemar Świerzy, Jan Lenica, Jan Młodożeniec, Tadeusz Grabowski, Maciej Urbaniec, through their younger colleagues like Jerzy Czerniawski, Eugeniusz Geta Stankiewicz, to currently designing Roman Kalarus, Tomasz Bogusławski, Maciej Szymanowicz or Joanna Górska and Jerzy Skakun.